As a consequence of countless companies pursuing new marketing techniques, old school advertising seems to be going by the wayside. However, Bain & Company recently found that these new trends don’t always result in one of the most important marketing measures – packaging design recall. Brand recall indicates how easily a consumer sorts through product choices and remembers a specific brand. Also known as brand recognition, this measure reminds marketers that shoppers only recall a limited number brands at any given time – increasing the need for your product to be one of the first brand solutions that comes to purchasers’ mind. All things considered, it is proven that digital media can effectively reach a wide target market at a very low cost. However, studies show that using both new and old tactics will better position brands at the front of their retail shelves. With the national cosmetic industry worth $4 billion, how have some of Australia’s most highly recognized skincare brands ensured their products are recalled first? With the help of one simple technique: packaging design. The strategy behind packaging design for skincare products must consider both the end user’s functional needs and aesthetic wants. As a result, cosmetic companies are no longer only focusing on the ingredients that go inside the bottle. They also consider the strategic effect of their products’ packaging design. This is where finding the right creative agency comes in. Some of Australia’s most successful skincare companies have teamed up with Melbourne’s best creative agencies to create a physical representation of their consumer’s most valued needs. For over 9 years, Symphonic Pixels has been working closely with skincare brands from Australia to South Korea to develop packaging that incorporates both corporate and client values in a design that will support brand recognition. For these reasons, we sought out the Top 5 Australian Skincare Brands whose packaging design suits their target market’s aesthetic values as much as their cosmetic needs. With brand packaging created by local designers, these skincare companies have developed highly recognized products that are beautiful inside and out. Values: Skin in motion (suiting different skin needs based off environmental factors, age, and travel); function; sensory pleasure. 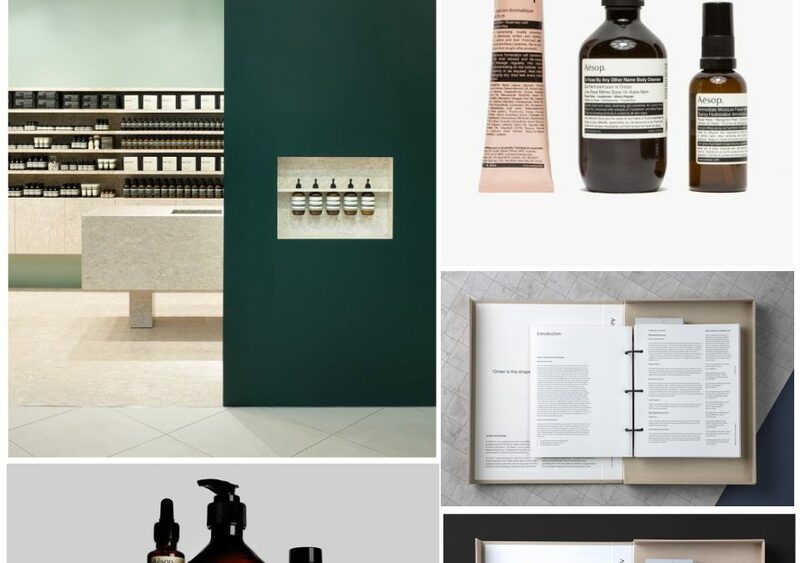 How they do it: Aesop strategy strives for functional and sensory based design in every package, store location, and product ingredient they use. Values: Cruelty-free (absolutely no animal testing), natural skin care (many of the Go-To products are vegan friendly). How they do it: Personable, accessible, and affordable, Go-To skincare’s packaging is colourful – just like the content in their marketing campaigns. Values: Performance, strength, and longevity; sourcing ingredients derived from micro cultivation, organic growing practices, or ecologically sound wild harvesting techniques; high quality natural hair care. How they do it: With geometric shapes and user friendly design, Kevin Murphy hair care products are housed in containers built for function and longevity – right in line with their product offering. Values: Australian made and owned; non-toxic skincare derived from natural and naturally derived ingredients, cruelty-free. How they do it: With a tongue in cheek marketing campaign, Frank products are housed in bathroom-and-shower friendly packages – so the products can be used just where Frank intended. Values: Skincare products made with plant based ingredients and pure essential oils; made in Australia; as close to nature as possible. How they do it: Delivering a luxurious skincare range without chemicals and synthetic fragrances, Ena’s online presence and packaging design are minimalistic – just like their products. Have you been considering rebranding to ensure your products are the first choice that come to your ideal target markets’ minds? Perhaps you’re running a startup looking to attract and convert your ideal customers? From brand awareness to packaging design, the right agency can accordingly identify your product’s values and create a packaging design to house them. If you’re ready to redesign your product packaging, detail your projects thoughts and ideas on this Google Form. As a result, we can provide you with an obligation free quote about the services we provide that can help your company and your brand. We look forward to hearing from you!